But year upon year, it’s been hard to ignore the mounting evidence — the friends who were pushed out of jobs, or never hired in the first place, even if they were eminently overqualified, or those passed by for promotions, often at the hands of white women. It’s in the fact that an abysmally small number of women of color lead top corporations or industries. Most of all, it’s in the small moments of racial and gender discrimination that are so insidious, they’re hard to pinpoint. In my career, I’ve been excluded from key projects that were given to white women, repeatedly had my name mispronounced and often made fun of, and called “defensive” and “difficult to work with” by white men and women. For decades, this intersection between race and gender has been largely ignored by popular work on gender equality — Sheryl Sandberg’s “Lean In” manifesto, for example, doesn’t look at how women of color fare in the workplace. As nascent research catches up to the lived experience of women of color, we talked with four Seattle-area professionals about how they navigate their work environments. 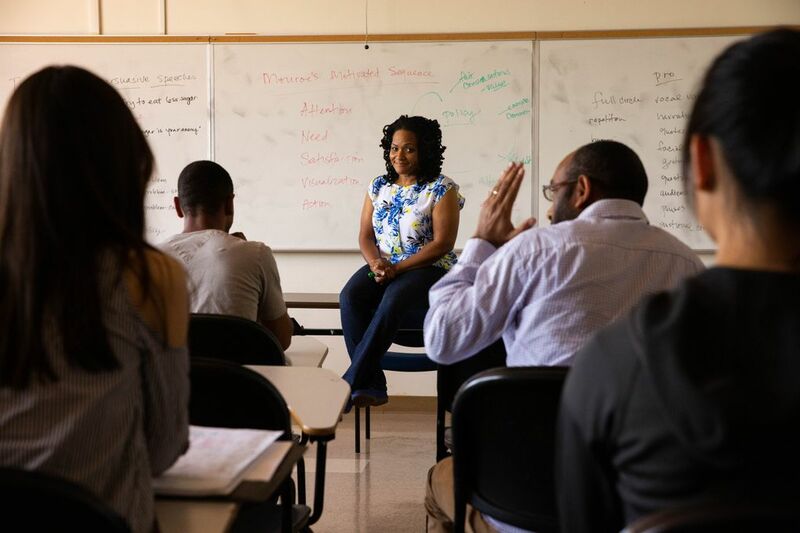 THE BURDENS OF being an African-American woman in the workplace never end, Seattle University instructor Kimberly Harden tells me. “It’s exhausting, to be honest with you,” she says. “We are expected to be a feminist and to support the women’s movement. But white feminism is different from black womanism,” she says. Harden remains relaxed and smiling throughout our interview, but her shoulders tense slightly. She is walking a narrow line that women of color navigate: telling the truth while attempting not to rock the boat. Harden, 43, who was born in Seattle, recalls one of the profound moments when she realized how much her race impacted others’ views about her. Harden says she found a “different mechanism” to present information at meetings. She would present the information to her mentor, who would then speak on her behalf in meetings, then credit Harden with the idea. Harden says the incident, among others, spurred her to get her college degree, so she put herself through night school. Against women of color, that bias can be even more pronounced, she says. In general, Umphress says, the workplace experiences of women of color tend to be stronger and more negative than the experiences of white women, even when they are more accomplished. Harden’s experience illustrates this; she says she faced discrimination even after she obtained her master’s degree. While working at a Seattle-area hospital, she returned from medical leave to find her position eliminated. Instead, the temporary employee who was covering for her — a white woman with lesser qualifications — was offered her job. Harden says she had been promised a promotion before she left. When she protested, her manager’s response stunned her. “He looks at me straight in the face and says, ‘Who do you think you are? Michelle Obama?’ ” She laughs without humor at the memory. When she brought up the incident with HR, she was told nobody would believe her. Despite her early career in health care, Harden says, she realized the environments she worked in weren’t supportive of women of color. She eventually changed careers to become an academic after obtaining a doctoral degree in education. She says her current career path, and particularly, her employer, Seattle University, have been the right fit for her. 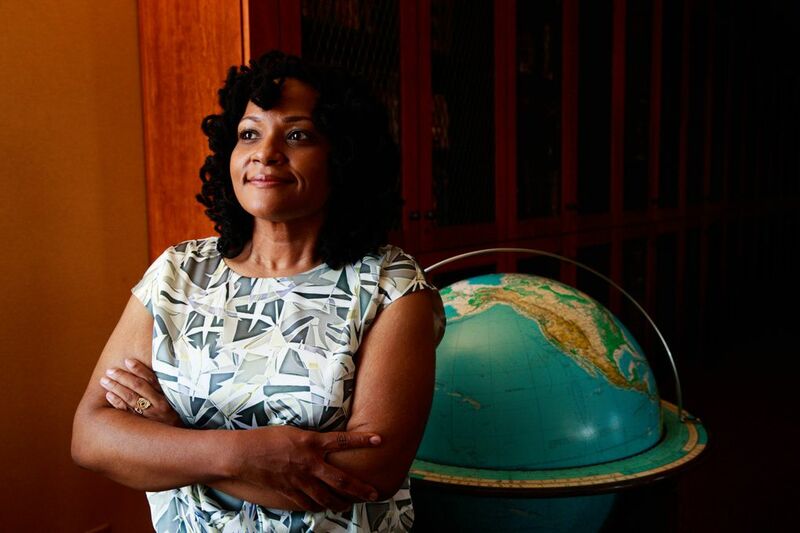 Harden is the first African-American female faculty member in the Communication Department, which has inspired her to create inclusive classrooms where topics like race and inequality aren’t taboo, she says. But even in a supportive environment, memories of previous discrimination linger. On Maria Chavez Wilcox’s desk is a printout of “Fearless Girl” in front of the iconic Wall Street charging-bull sculpture. She says it’s her daily reminder to stand strong in the face of all opposition. The sculpture could be an embodiment of the Latina leader. Chavez Wilcox immigrated to America as a child and overcame poverty and childhood abuse to become the first woman of color to lead three established nonprofits with multimillion-dollar budgets: United Way of Orange County; local Childhaven; and now, the YWCA Seattle | King | Snohomish, where she has been for two years. That hasn’t meant she was automatically treated like the boss. 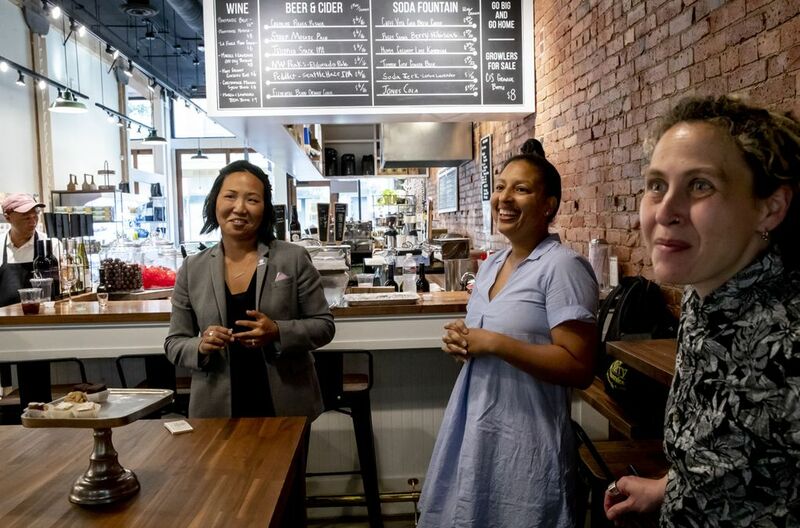 Early in her career, in her first meeting as CEO for a former employer, the primarily white, male-dominated board of directors walked in and she was asked to serve coffee. “And they knew I was the CEO,” she says. Chavez Wilcox, who proclaims herself “not really a wallflower,” declined to serve the coffee. She carries the experience of being an outsider to work every day — and it has given her greater empathy to lead the YWCA, she says, which primarily serves women and girls of color in the area. “I know what it’s like, like some of the women and girls that we are helping. [I understand how it is] to feel ‘less than’ because of how you look,” she says. A 2018 meta-analysis — a large study of several studies — published in the Journal of Applied Psychology shows that the workplace is indeed fraught with challenges for women and people of color, says UW’s Umphress. “Women are seven times more likely to experience some form of sexual harassment at work compared to men, and people of color (both men and women) are significantly more likely to experience racial discrimination at work compared to whites,” she says. Which is why organizations must consider how to advance women and people of color, and cannot focus on gender equity without considering the experiences of women of color. Chavez Wilcox says more female representation alone in organizations will not move the needle — more women of color must gain decision-making authority. For her, the position of leadership comes with the responsibility of promoting other people of color in the workplace. Indeed, 4 out of 7 leaders at the YWCA are women of color, the first time in the organization’s 123-year history that a majority of leadership has been people of color. Laura Clise found that after most executive meetings in which she made presentations, people would inquire about her age. “One of the first questions people would ask me when I had wrapped up my presentation was, ‘How old are you?’ ” says the 39-year-old Clise, who spent more than 15 years in corporate America, including director roles at Weyerhaeuser and the French energy company Areva (now Orano; the company is based in Paris, but Clise worked mostly in North America). She was in her early 30s in roles that would report directly to the CEO and, at times, “got the sense that they were asking my age as a way of implying that I was inexperienced, or questioning my qualifications,” she says. “I worked in white, heterosexual, male-dominated environments, and it’s hard for me to parse out which of my identities caused me to encounter skepticism,” adds Clise, a Korean-American adoptee. So she found a way to circumvent the skepticism — by changing her presentation. “At the beginning, when I was introducing myself, I had a slide that walked through the different places that I had worked at, including [company] logos,” she says, unconsciously playing with the “Intentionalist” pin on her gray blazer, next to a baby-blue pocket square. 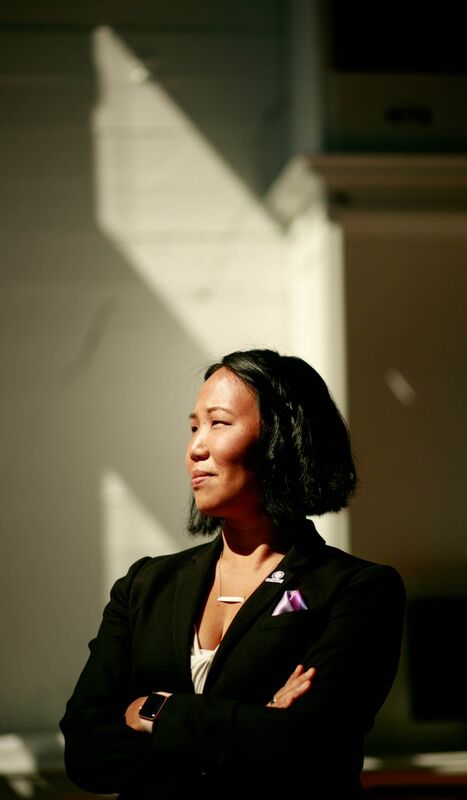 Her experiences of not always fitting in in corporate America served as a catalyst for her startup, Intentionalist, an online guide for consumers to make spending choices to support businesses owned by underrepresented entrepreneurs, including people of color, women, immigrants, members of the LGBTQ community and veterans. 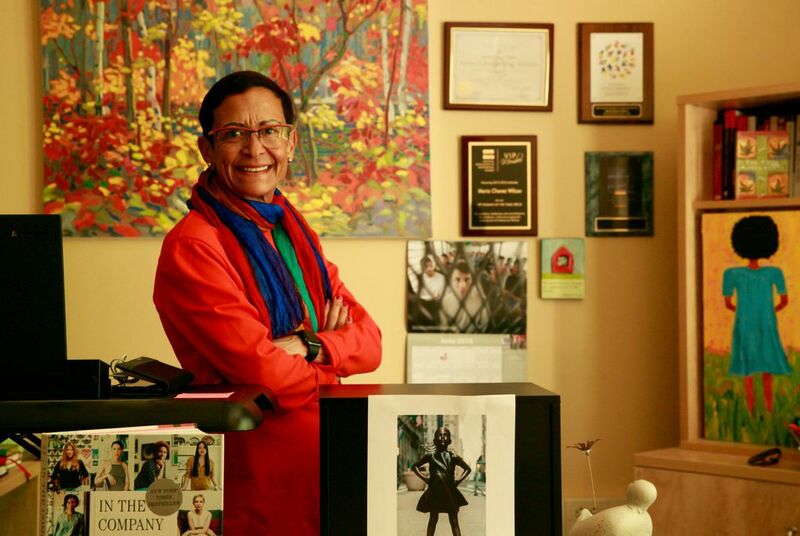 Clise says that intersectional identities — being female, Asian and gay — have had a profound impact on her career experiences. Overcoming others’ homophobia proved challenging. 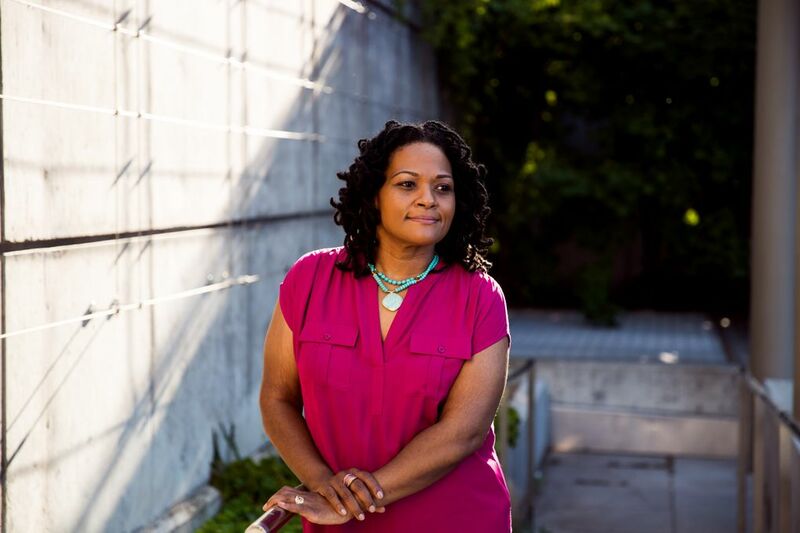 Clise came out in high school to her family members, who were supportive, but chose to keep her sexual orientation hidden from co-workers for her first year at Areva. In hindsight, she says, perhaps she should have believed her colleagues would be supportive, but her first reaction was to protect herself in the patriarchal environments she worked in. Clise experienced “prove it again” bias — when women have to repeatedly prove themselves to establish perceived competence, and men don’t. A growing body of research shows this compounds for women of color and people from other underestimated backgrounds. 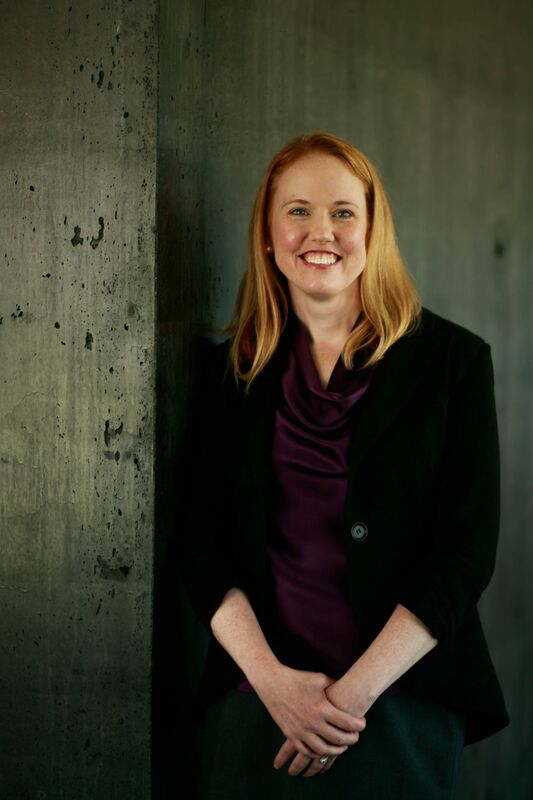 UW’s Umphress says it’s incumbent upon employers to understand intersectionality; each of us brings multiple identities into the workplace that impact our professional experiences. “By looking at one identity alone, we’re not seeing a complete person,” she says, speaking of corporate diversity programs that often concentrate on just gender equity or racial equity, and often exclude women of color who carry at least two historically low-status identities. Clise says workplaces must be designed to understand intersectionality, and leaders must be prepared to seek out and consider the experiences of all women, including women of color and gay women, at work. More businesses also need to understand that “the absence of discrimination — explicit discrimination — does not equal an inclusive [workplace],” she says. At this politically divisive time in our country, Muslim women are facing significant biases and even threats of violence, says Ubah Warsame, a health coach/medical interpreter and a Tukwila-based activist. 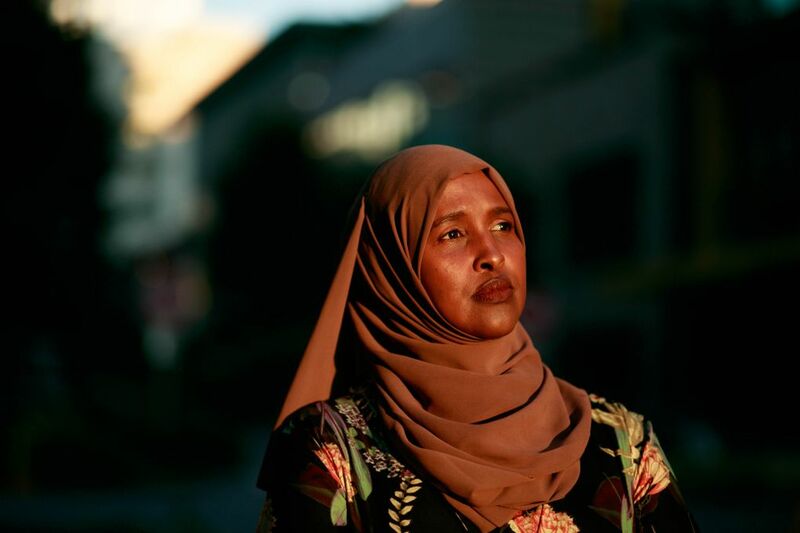 Since the multiple travel bans on Muslim countries imposed by the current administration, Warsame says, she and, particularly, female members of the East African community, have faced rising anti-Islamic sentiment. In the past 20 years living in the United States, the mother of three says she has worn a hijab for the majority of her professional life, but has noticed a more overt and verbal form of bias against Muslim women now. “Since last year, people feel that they can be true … and can react to you a certain way now because you’re wearing the hijab,” she says. In the best case, there’s awkwardness, she says. Warsame wrote a letter and spoke to the manager on behalf of the woman, who was able to keep her job and continue to wear her jilbab at work. Standing up helped in this instance, “But I wonder how many other women left jobs because they didn’t want to deal with this,” Warsame asks. The Somali-American activist ran for Tukwila’s District 4 school board last year. 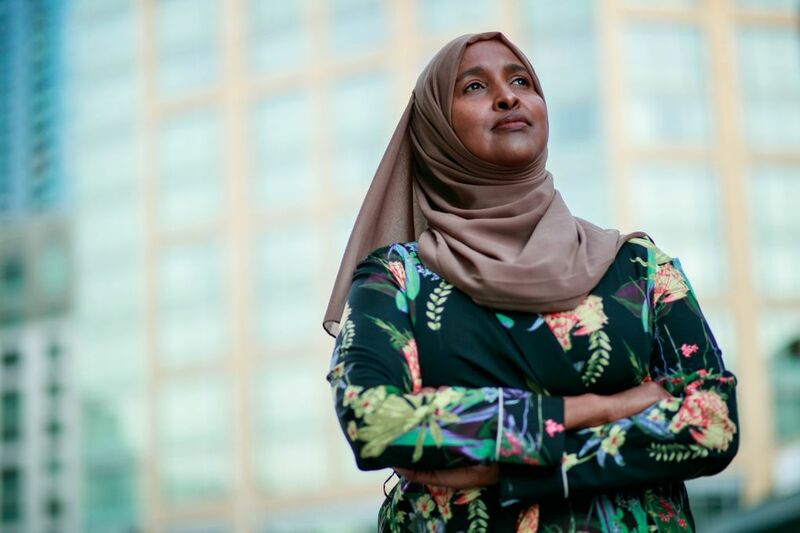 Warsame wasn’t elected, but says she was inspired to run because she wanted to challenge the notion she says some Americans hold that women who look and dress like her wouldn’t run for the school board, let alone for elected office. Representation matters, she says. 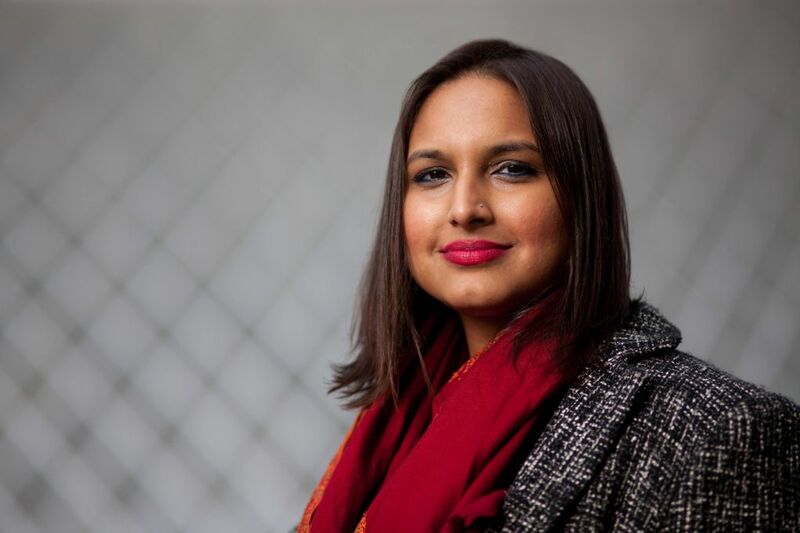 Ruchika Tulshyan is the author of “The Diversity Advantage: Fixing Gender Inequality In The Workplace.” She is also professional-in-residence in Seattle University’s Communication Department and co-chair of the Seattle Women’s Commission. Erika Schultz is a Seattle Times staff photographer.